is a new ‘clean energy’ technology company. Our goal is to make energy cleaner through decarbonisation and use of renewable fuels, without making it prohibitively expensive to the consumer. designs novel solvents for use in the capture of CO2 from gas streams. C-Capture utilises chemistry and engineering expertise in designing new systems to overcome industry issues such as energy efficiency in the CO2 capture/release cycle, environmental issues, and cost of implementation. has laboratory and pre-pilot facilities in its Armley base in Leeds. 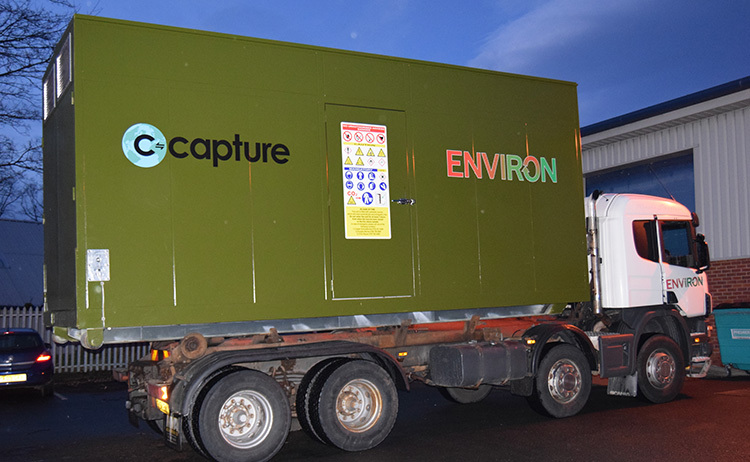 By using this design-led approach of developing new materials and then testing on their bespoke, highly specialised testing rig, C-Capture has the capability to rapidly deliver innovations in the field of carbon dioxide removal. was formed in 2009 as a spin-out from the Department of Chemistry at the University of Leeds, based on IP and know how generated through many years’ experience working in the area of CO2 chemistry.